Hall, 11th February 2019, peacefully, at the South West Acute Hospital, Enniskillen. Georgina, late of 152 Windmill Heights, Enniskillen. Beloved wife of the late William and a much loved mother of William (Evelyn), Stanley (Iris), Philippa, Freda, Raymond (Gwendoline), Gary and the late Mervyn (Georgina). Also a very special grandmother and great grandmother. Removal Tuesday from S.R.Elliott & Sons funeral home, Drumclay Park North, Irvinestown Road, to arrive at Rossorry Parish Church for 6.30pm. Funeral Service Wednesday at 1.00pm followed by a family interment in Trory Parish Churchyard. Friends and neighbours are welcome to call at her son Raymond’s home, 11 Benaughlin Park, Castlecoole, Enniskillen, BT74 6JT. 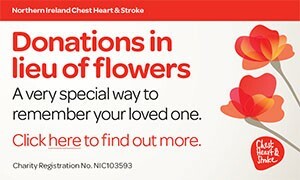 Family flowers only please, donations in lieu if desired are to the Tempo Road Day Centre, c/o and cheques made payable to S.R.Elliott & Sons, 17 Darling Street, Enniskillen, BT74 7DP. Very sadly missed by her family and all the family circle. 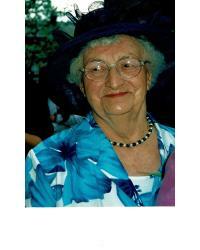 I am sorry to tell you that Georgina HALL has passed away.